Board game lovers know how intricate and beautiful the art associated with those games can be. Eurosnoot to Ameritrash, thrift store find to vintage antique, board games often feature lush, detailed drawings on their box covers, cards and game pieces. 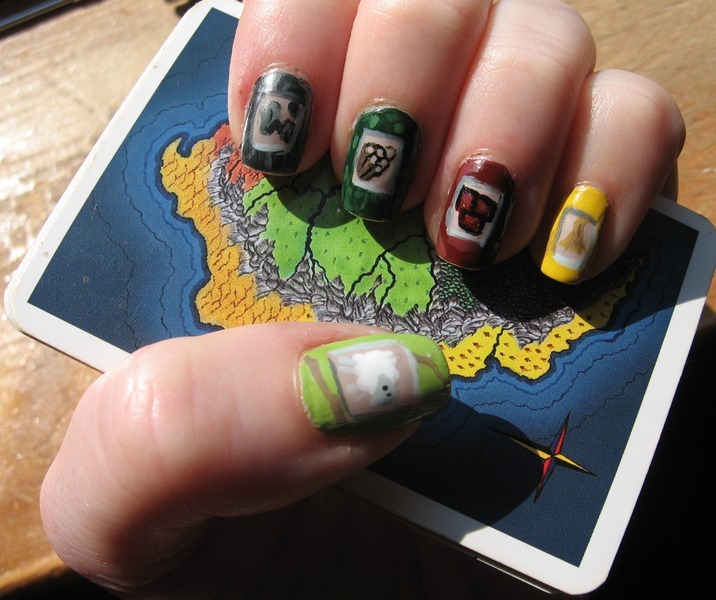 It's no surprise, then, that several talented artists have recreated some of their favorite games as envy-worthy manicures. Here are some of my favorites. One of the most popular European-style strategy games is Settlers of Catan, in which players collect cards for different resources: wood, wheat, sheep, brick and ore. 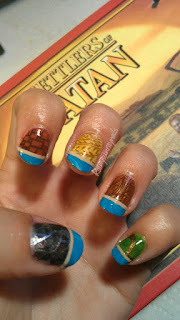 These make for great fingernail art, as rainysunraynails and Nerd Polish demonstrate. Munchkin is a light party game that has some deeply goofy art on its cards. 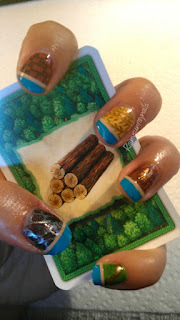 These, too, make for great nails, shown here from Nicole Gets Nailed. OK, we all know that Monopoly is THE WORST, particularly if you've ever played any of the more challenging (and far more fun) strategy games. Monopoly is dull and never-ending and by hour three, you're praying for someone, anyone, to just build the damn hotel already. However, the manicure it inspired is awfully cute. 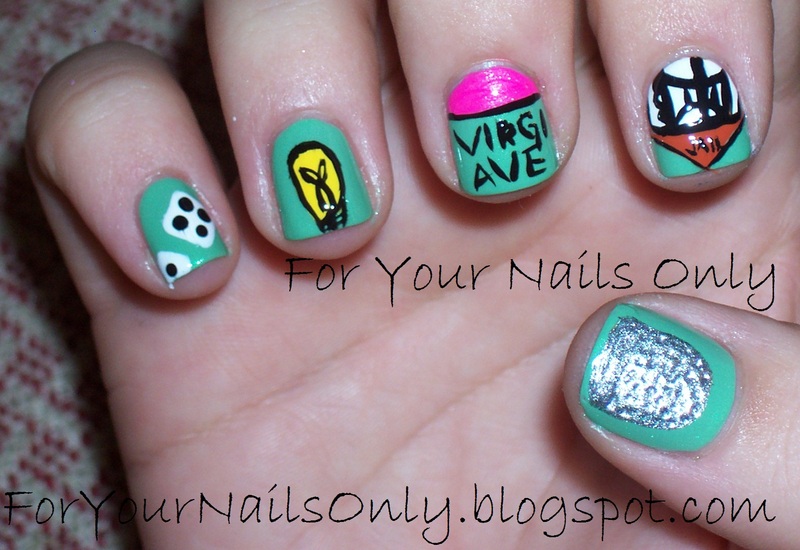 For Your Nails Only absolutely nailed (heeey-oooh!) the iconic elements, especially the thimble. It's an oldie but a goodie: Scrabble (and, I suppose, Words With Friends) courtesy of Sugar Nails. More classic games, featuring Monopoly, Connect Four, Backgammon, Draughts and Hungry, Hungry Hippos. 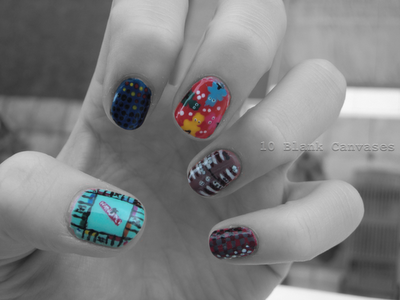 Nail art is by 10 Blank Canvases. 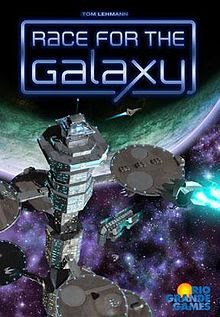 My husband and I are headed to a local gaming convention this weekend where we're planning to complete in a Race for the Galaxy tournament. I'm tempted to pant my nails in a galaxy theme with the hopes that my opponents will cower before me in awe at my manicured magnificence. 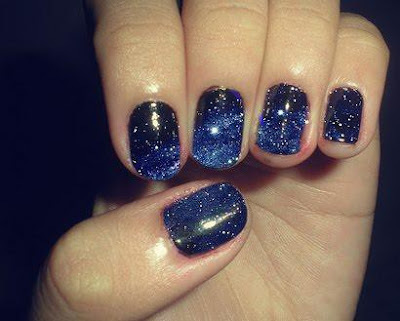 I don't have much skill with a nail polish brush, but I'm wondering if I can accomplish this interstellar look without too much trouble, as the Wild 107.5 website says it's just a few coats of silver sparkle polish over navy blue. For comparison, here's the game box. 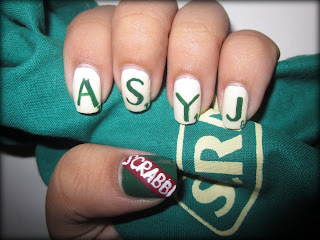 Will those nails represent, do you think? Now, a list of boardgame-based nail art I was sad not to find: Agricola, Carcassonne, Cosmic Encounter, Power Grid, Killer Bunnies, Risk 2210, Axis and Allies. 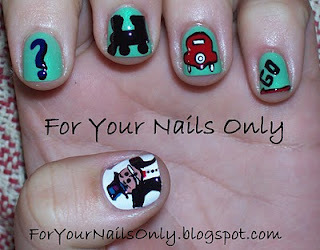 Let's get on that, people of the Internet with more manicure talent than I could ever hope to possess. What games would you like to see on your fingertips?